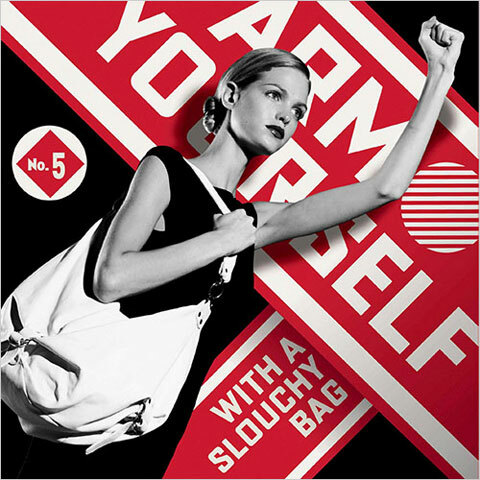 Public Ad Campaign: Can a Rebel Stay a Rebel Without the Claws? Can a Rebel Stay a Rebel Without the Claws? The review below, of the recent Shepard Fairey exhibition at the Institute of Contemporary Art in Boston, is pretty vicious. After praising Mr. Fairey's aesthetics, this quote "Despite its rousing first impact, the exhibition leaves you with a sense of dismay at the devolution of a certain avant-garde dream into a kind of visual easy listening for the college-educated masses." places Mr. Johnson's opinions more concretely. Arguing that the work has lost it's political punch, Johnson asks "Does anyone not realize that capitalism is contradictory? Is anyone’s world really rocked by something that can’t be immediately categorized? Every day we are swamped with images and ideas that pretend to confound conventional thinking. That’s popular culture." 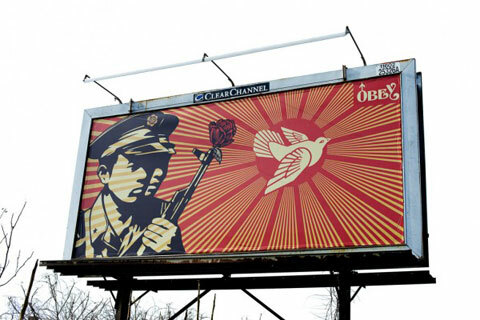 In many ways I agree with Mr. Johnson in that I think people have absorbed a lot of the ideas behind the Initial Obey campaign. Alternative methods of relating to our environment and questioning our social and political agendas through serendipitous moments and ambiguous gestures are old hat. What we need from our street artists are active political gestures which shape thinking and disseminate ideas as opposed to create confusion in hopes of shaking things up. As amazingly beautiful as this billboard is, without being put up illegally it has no agenda other than beautification of our environment which just isn't progressive enough these days. This says nothing about the recent collaboration being done with Saks. Oh Shep, I know this ones for charity too and I'm usually on your side, but this rubs me the wrong way. 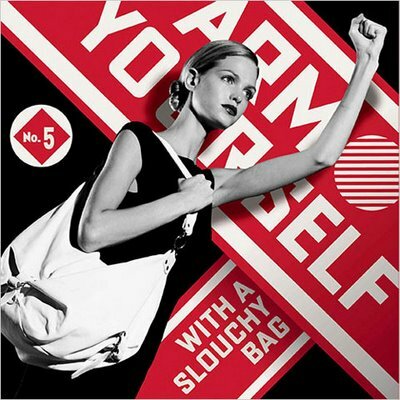 We're just a bit tired of Shepard Fairey using what used to be his anti-brand as a brand for selling his clothing and design services. His work may be beautiful sometimes, but it is far from rebellious.